Essential oils got their name for a reason. Once you start using them, they will feel more essential than any part of your routine. These oils will give your life benefits that you can’t get elsewhere such as relaxation and the balancing of hormones. There are so many oils to choose from that you can’t go wrong, but here are some tips to using essential oils in everyday life. Oils are great for winding down at night. Many essential oils relax the mind and body, which is great for those of you with issues getting to sleep. Essential oils are great for treating restlessness and insomnia. If you are looking for a natural way to get to bed on time, check out some lavender oil. Buy an essential oil diffuser for your bedroom that you can use while drifting to sleep—you will barely even notice the aroma, although these oils smell amazing. Lemongrass oil is great for stimulation. Rub some lemongrass oil on your wrists while having breakfast and your morning coffee for some great results. This is a way to feel even more awake and refreshed in a natural way. Citrus and peppermint oil are also great for making you feel awake. Their fresh scent and awakening properties make them great for some morning or work day aromatherapy. You might find yourself sore after working out super hard at the gym. This might make your next few days difficult. You may have pains and trouble moving right. Get some peppermint oil to rub on sore spots. Peppermint oil is great for pain relief. It can get you back to the gym in no time. Need to relax after a workout? Try some lavender oil. Lavender oil can relax your muscles and get your ready for the rest of your day. Nothing is worse than tensing up for hours after a workout. If you have an injury, eucalyptus oil is your best friend. It helps reduce inflammation and pain in the injured area. Next time you head to the gym, be sure to bring your essential oils along. Want an extra fresh feel to your home? Cleaning supplies can often smell synthetic and pungent. This is why you need to fill a spray bottle with eucalyptus oil and water. This will freshen your air and whatever you clean in your home. This will help you think about the chemicals in cleaning supplies and why you need to be wary of putting these toxins into your air. 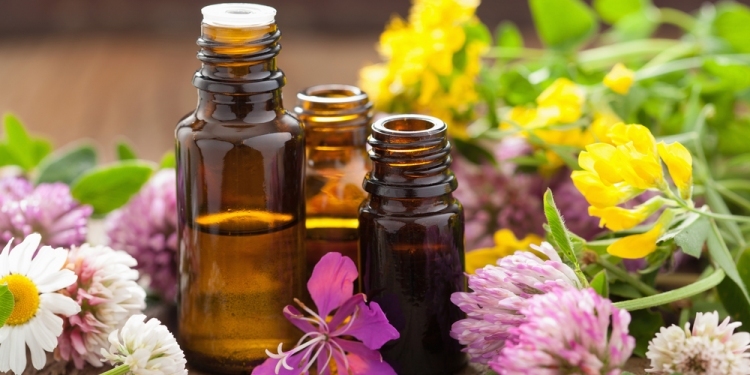 Essential oils get the job done and make for better air quality. Essential oils are also great for your skin and hair. One popular use is lavender oil for hair because it deep conditions the hair while keeping it strong and shiny. If you suffer from dry hair, opt for some lavender oil instead of synthetic hair products. Not only can essential oils be used for hair, but they can be used on skin, as well. Essential oils are great for your face and body. Rosemary oil, peppermint oil, tea tree oil, and lemon essential oil can all be used on skin. Using natural products like essential oils is a lot better than putting manufactured lotions on your face. Essential oils have so many benefits. Even if you are late to this well-deserved trend, it is never too late to find the essential oils that work for you. Think about your daily routine and where you could benefit from some of these routine-altering oils.